I know from personal experience within my family that arthritis can be an excruciatingly painful disease which imposes significant limits on the quality of one’s life. 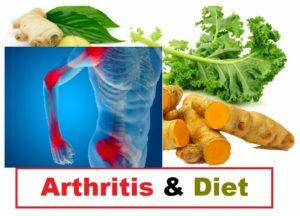 At first inspection, it seems too good to be true that making simple dietary and lifestyle changes could significantly improve the symptoms of arthritis; but delving into the research (and eating the diet myself) has shown that it’s possible, not only to reduce arthritic pain, but to remove the major symptoms completely, allowing the body to heal itself where it can. It’s really a group of diseases causing swollen and painful joints. 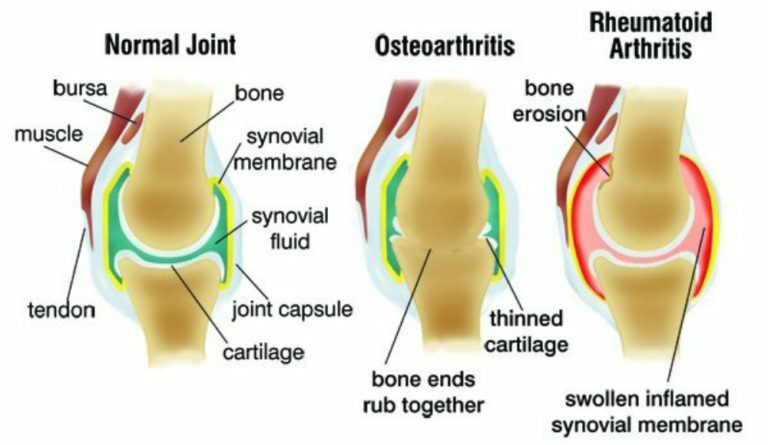 Osteoarthritis (OA) is usually a gradual degeneration of joint cartilage and underlying bone which is most common from middle age onward – indeed, OA is “the most frequent cause of physical disability among older adults” in the world 1 . It results in stiffness and pain, especially in the hip, knee, and thumb joints. 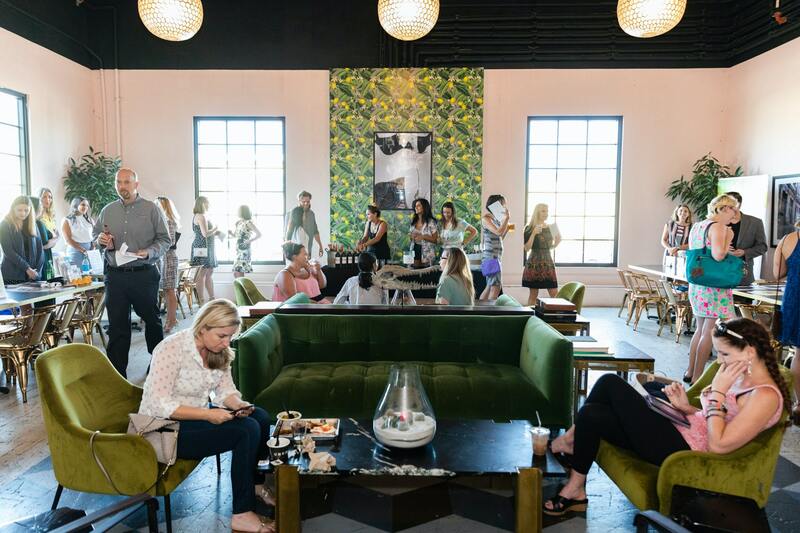 It’s commonly thought that OA is merely unavoidable wear and tear, but this is not the case. In fact, it’s an active joint disease with a prominent inflammatory component. Rheumatoid arthritis (RA) is where the body itself attacks the joints in a much more aggressive manner. As a chronic progressive disease, the inflammation it causes in the joints can result in painful deformity and immobility, especially in the fingers, wrists, feet, and ankles. There are genetic predispositions within families, making it more or less likely that a person may develop RA. However, just because there’s a genetic predisposition, it does not necessarily mean that those genes have to be triggered and, hence, dictate the course of events in a person’s life. We’ve already looked 2 at how the foods we eat can significantly affect the inflammation within our bodies. There is strong evidence that dietary changes can help to prevent the development of arthritis and, if it has already developed, to reduce inflammation and, thereby, potentially to eliminate the pain and stiffness altogether. Basically, get rid of the foods that spark the inflammatory responses within the joints, and you get rid of the inflammation. We’ve already looked at the powerful evidence 6 7 8 showing that the best, safest and most sustainable diet to prevent and treat obesity consists of moving away from all animal and processed food and replacing them with whole plant foods. But what about the relationship between OA and obesity? 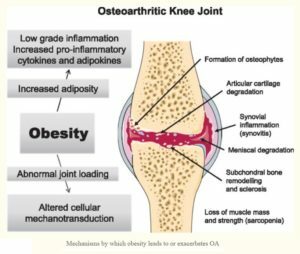 Obesity is a significant risk factor for developing OA. And it’s not just a matter of obesity putting more pressure on the joints. Within the joints, fatty tissue represents a potent source of pro-inflammatory chemicals that actively increase cartilage breakdown. When you lose weight, there are fewer of these chemicals and the symptoms of OA improve. It’s not rocket science to realise that the modern Western diet is going to supply the body with ample amounts of these pro-inflammatory chemicals which, in turn, will build up and put increased stress on joints. It’s been known for some time that diet can have a notable affect on RA. Which Foods Fight Rheumatoid Arthritis? Of course, an astonishingly wide range of inflammatory-fighting polyphenols are in all fruit and vegetables, and so any balanced WFPB diet will help to inhibit platelet activity which is associated with inflammation. Things are changing in our view of arthritis. The question of just how central inflammation and immune responses are in the causation and prolongation of both OA and RA is an unfolding journey of discovery. It would appear to me as though the research is heading towards concluding that the role of immune responses and inflammation – and, hence, the primary role of diet in preventing both of these bodily reactions – is a lot more important in the pathogenesis of arthritis in general. Naturally, if the joint defences (the cartilage) are chronically damaged, any excessive exercise or trauma to that joint will exacerbate joint damage; however, studies are revealing that it’s the food we eat, to some not-insignificant extent, that causes cartilage damage (or fails to protect the cartilage in the first place). In a podcast entitled “Healthy Joints” 39 , Dr Greger reinforces this by analysing how a plant-based diet protects our joints against arthritis. 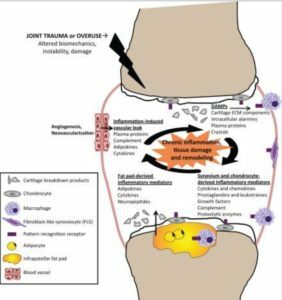 The common feature throughout, is the association between joint damage (be it via cartilage breakdown/loss of bone density or via autoimmune responses) and the consumption of animal foods. Dr Barnard goes on to provide two food lists – one that’s thought to help and the other that’s thought to exacerbate the symptoms of arthritis. He suggests that you eat an abundance of foods on the former list and avoid all foods on the latter list. Any foods that do not appear on either list, he suggests can be eaten freely. He also suggests that sufferers monitor if there are any foods that clearly trigger symptoms. These should be removed from the diet to see if their removal improves symptoms. My suspicion with some of the above ‘triggers’ is that they have become anecdotally associated with increasing arthritic symptoms rather than because there is any convincing research evidence. Of course, this is not to claim that these foods cannot trigger arthritis symptoms in some people, but this appears to be the typical situation where people focus on one particular ‘bad boy’ food rather than their whole diet – often in the hope that, thereby, they won’t have to radicalise their diet and remove favourite food (meat, fast-food, snacks, confectionery, processed foods) to which they are virtually addicted and which they can’t imagine living without. More of this below in relation to wholism vs reductionism. We looked previously 57 58 59 in some detail at how a plant-based diet protects athletes against joint and muscle damage, as well as being effective in helping to heal the body more quickly from exercise-related injury. 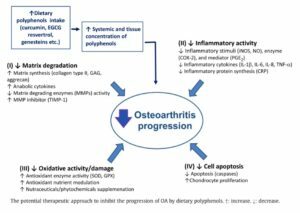 Thus, it would make sense that making the right choice between a diet consisting of pro-inflammatory animal-foods or of anti-inflammatory plant-foods may be a primary factor in the pathogenesis and development of both OA and RA. 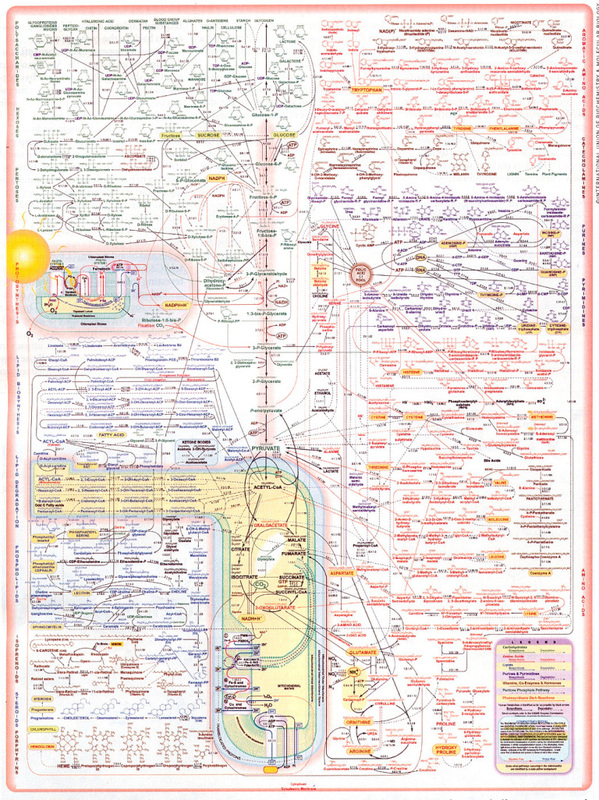 This is made more probable when we take into account how plant-foods are shown 60 to provide such strong support for the body’s immune system, for instance through producing the ideal microbiome in our guts. In a previous blog specifically on gout 61 , we looked in great detail at how the consumption of animal-foods is perhaps the major cause of this excruciating condition; conversely, we saw that transitioning to a wholefood plant-based diet (as well as making other lifestyle changes, such as cutting out alcohol) prevents and treats gout more effectively than current medications – and without all the associated side-effects of the latter. Once again, it’s possible to pan out on this whole topic and conjecture that a more wholistic approach to disease prevention and treatment – one that would deal with the vast range of seemingly interlinked conditions, such as obesity, diabetes, heart-disease, hypertension, immune disease and inflammatory diseases – is the way to kill more than one disease with just one diet. As discussed in a previous blog 62 , modern medicine appears to have fallen into a reductionist trap, where drug companies (and thereby medical practitioners) are on a constant race to find one specific drug to treat – what they think is – one specific disease. An alternative paradigm is that all medical conditions are linked in complex ways within our bodies and, since we are what we eat, the thing that most dramatically and directly affects this complex of bodily conditions is the food we put in our mouths. 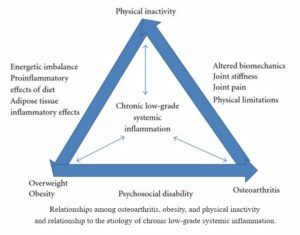 So, to some extent, the most important general questions might not be whether arthritis is caused by animal protein-induced autoimmune attack in the joints or by the animal proteins/fats themselves attacking the joints; rather, perhaps we should be stepping back and looking at the elephant in the room – the animal foods themselves. This is particularly the case when animal foods are eaten to excess in highly processed form, as is the norm within the Western diet. If the above has left you with a degree of confusion about which specific foods are good or bad for the prevention/treatment of different forms of arthritis, then maybe that’s not as bad a thing as it might at first appear. Don’t even try to read this, let alone understand it. So, we’re faced with the same choice in terms of arthritis as we are with all the non-communicable diet-related diseases which are growing at terrifying rates within our populations: do we wait until the media, health authorities, politicians and food manufacturers/retailers own up to the reality of plant-based diets being the optimal choice for humans, or do we take our own health in our hands and choose the WFPB dietary route for ourselves today?